This volume was published in February 2017, Philip Baker received it in March and had the satisfaction to see that all the data he compiled in London in the 1980ies – the famous “dossier bleu” – are now available in print (see p. VIII). We mourn for our dear friend Philip and present this book to you to honour his memory. I will write about the book at another occasion. Philip Baker was listed as a collaborator on the book, which had been 30 years in the making. Philip Baker was a remarkable man. 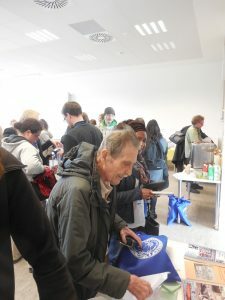 When I studied creole languages at the University of Amsterdam, he often presented papers at workshops and conferences. Not only because of his qualities, but also because he was “cheap”: he lived in London, which was close by. When I had spent a year working on pidgins at the no longer existing Danmarks Humanistisk Forskningscenter, I had the opportunity to invite the best person as an opponent for my project presentation. I chose Philip Baker (together with Mikael Parkvall, my partner in crime and the world’s number one specialist in pidgins), not because he was cheap, but because he was the best. Modest as he was, he traveled with Easy Jet to Copenhagen and stayed in a modest hotel. Not realizing that he was 65 years old already, Mikael Parkvall, Philip Baker and I walked all the way from the center to Rasmus Rask’s grave at Assistens Kirkegaard cemetery in Nørrebro to honor the great linguist. 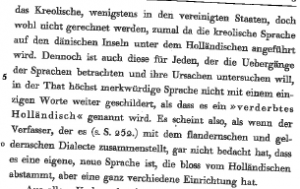 Rasmus Rask was one of the first trained linguists to devote an article in Danish to a creole language, already in 1806, Betragtninger i anledning af det kreolske sprog, “Considerations on the occasion of the creole language”. According to one of his friends, Rask had learned to speak the language. Philip Baker moved from the UK to the island of Mauritius in the 1960 to work in the film industry, and worked there as a film cutter for number of years. A French-lexifier creole language is spoken on this island in the Indian Ocean, and he learned to speak the language. Even though he had never finished his high school, his curiosity was great and in 1972 he got one of the best grammars of a creole language finished. Not surprisingly, local Mauritian newspapers devoted attention to him, in Mauritian and English also. Mauritians know on average 3,78 languages: usually they speak creole, English, French and a heritage language like Chinese, Tamil or Indian Bhojpuri. 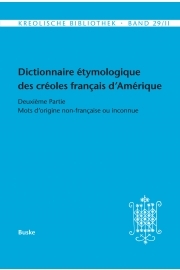 An exhaustive dictionary, with etymologies, followed, as well as dozens of other publications on raising rabbits (in creole) and academic publications about Chinese Pidgin English, about connections between Caribbean creoles, about African languages, about the English-lexifier creoles of the Pacific. Because of the closeness of our family names, I was sometimes confused with Philip Baker in mails, and also once in a personal meeting, when a nameless person cried out when he discovered his error said: “O, you are the two-k Bak(k)er!”. As the one-k Baker did not like the high prices of some of the established publishers on creole languages, he established his own publishing house, Battlebridge, specialized in books on creole languages and on islands like Norfolk, Tristan Da Cunha and Principe, with affordable prizes. Also Palmerston Island, where all the inhabitants are descendants from one man. After his retirement from the University of Westminster, he moved from London to the island of Sri Lanka. Even when he lost most of his books, notes and computer files – but luckily not his life – in the tsunami of 2004, he continued his work with books and publications with the dedication typical of him. Philip Baker knew very well what he was talking about. He had amassed huge databases on pidgins and creoles from around the world, both historical and contemporary data. All of his statements were backed up by massive and meticulously collected documentation. Strangely enough, people prefer to follow the opinions of, for instance, Michel DeGraff, whose widely cited views on creole language structures were backed up by two examples from Cape Verdean Creole, two from Palenquero Creole and a few dozen from Haitian Creole in 487 pages of writing on creoles, that is, one language example every 13th page. Unfortunately, within weeks after Philip Baker’s passing the Battlebridge website, disappeared from the net. The books can still be ordered from Amazon.com. At this moment, the website is available again. We knew that his health was deteriorating. He had survived cancer. When he was our special guest at the Creole Workshop in Aarhus in 2015, he had visibly lost weight. A the Creole Workshop in March 2017 in Giessen, he had not gained much weight yet. Five months later he passed away. 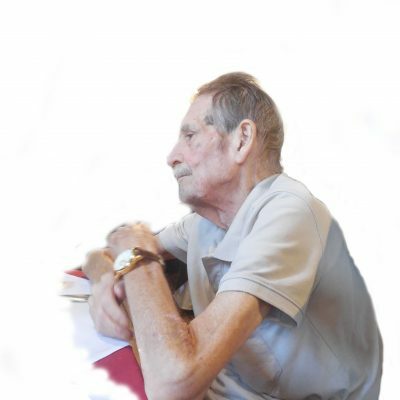 Not only Annegret Bollée, creolist from Bamberg in Germany, mourns him, but also the creolist community and a range of older youngsters who consider him his mentor, who was always ready with advice.